Most of us are aware of the need to wash all commercially grown fruits and vegetables before using in cooking or eating raw due to the large amounts of fertilizers etc used to grow them, but what about organically grown or home-grown? 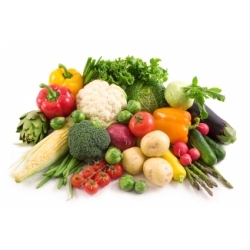 Although organic foods are grown without pesticides and chemical fertilizers, and their use may be limited in the veggie garden, the foods may have traces of traditional fertilizers, including animal manure. It is also wise to remember that organic produce is handled many times before it reaches your refrigerator. Simply put, you should wash all produce before eating it.